I am new to Samba v4, and am testing things out. 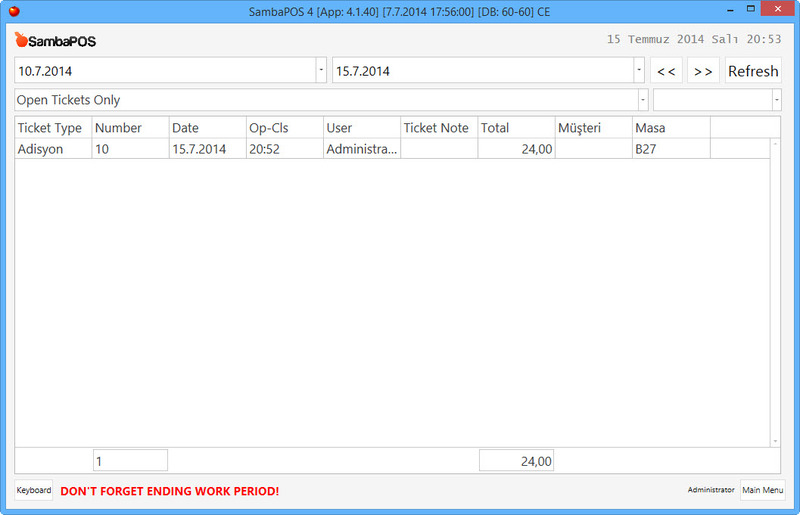 I have added my full menu, and have been creating and closing tickets to familiarize myself with the system. I would like to end my work period, but it says there is one open ticket. There are no open tickets in the POS or in the tickets section of the main menu. Can anyone tell me where the mystery open ticket might be? Thank you in advance for any help you can provide. So how to check open tickets?